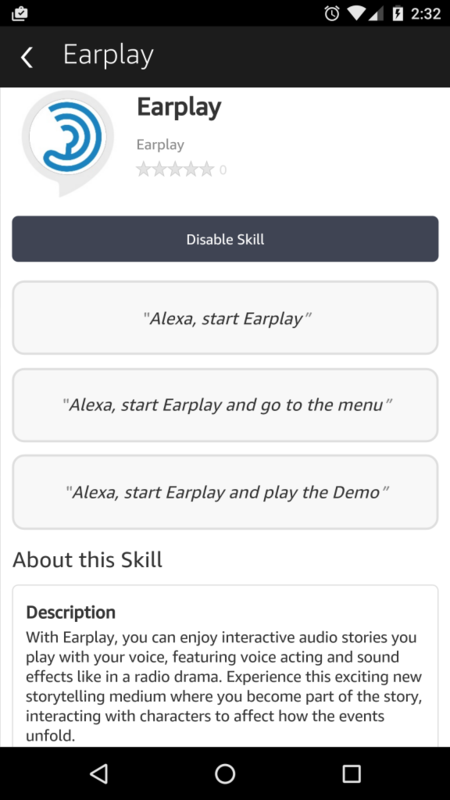 We’re excited to announce that Earplay is now a skill on the Alexa platform, playable in millions of homes on Amazon Echo devices throughout the US. The skill includes a short demonstration of Earplay storytelling and style. The demo experience is written and hosted by the legendary Dave Grossman, Earplay’s creative lead, and one of the most prominent interactive story writers in the games industry. The skill also contains the Prologue episode of Codename Cygnus, the world’s first interactive audio voice story, originally released by Earplay as a first mission of episodes from 2013-2014. There’s more exciting news on the way. To keep informed, sign up below for Earplay News.